In this article, we will offer you some nice do it yourself ideas for your home projects. From the smallest objects to larger ones, everything can be done with some hand work, talent, and passion. 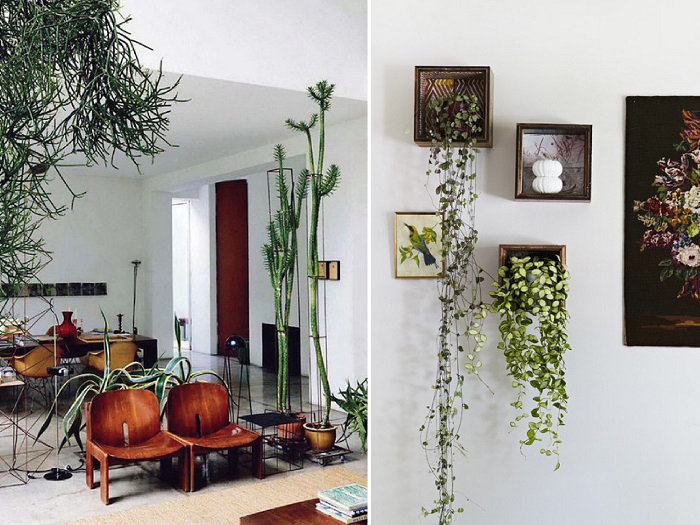 Here is how you can make your home even more beautiful with little to no effort. 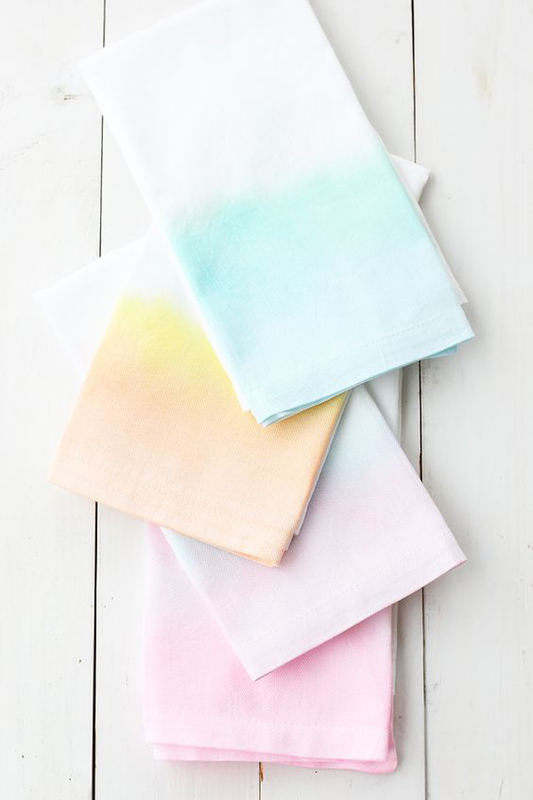 This is a very simple way to add some color to your old boring napkins, especially when someone comes over and you want to impress them. You’ll only need white cloth napkins made from cotton, paintbrush and fabric paint, along with freezer paper and a bowl of water. You’ll have to make sure that the napkins are damp before laying it on a piece of freezer paper, in case you want to protect that surface. Then, add five parts water and one-part paint in the bowl and start painting the napkins with your brush. You can add multiple colors or create a gradient visual, it’s all up to you. After your napkins have dried, iron them to lock the color in. They will look incredible on any table and people will certainly love them. Check out the website called DIYExperience.com in case you want even more similar ideas. Another interesting addition to your dinner table can be those clever lamps made of wine glasses. You’ll only need some glasses that are tall enough, scrapbook paper, scissors, double-sided tape, and LED lights. Remember that old and boring drawer that you always look at and feel like throwing away? You can refresh it by covering its knobs with colored fabric. 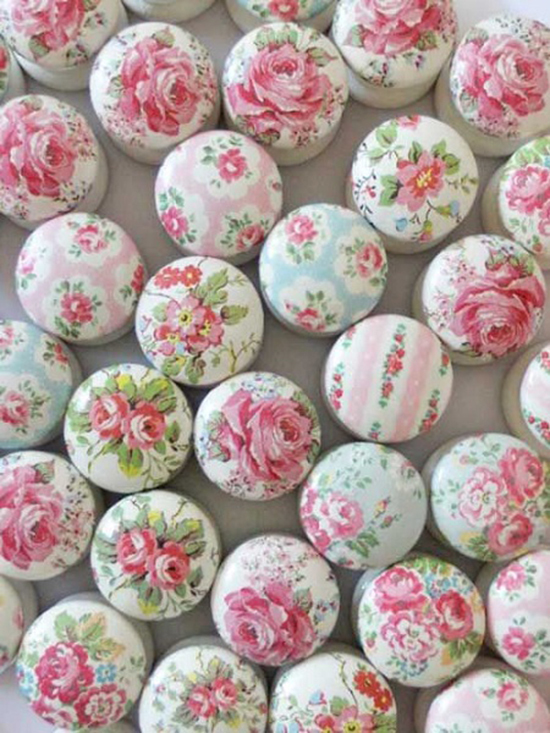 You need to start by cutting square pieces of fabric that are slightly larger than the knobs. This works best on wooden knobs because you’ll use glue to make the fabric stick to them. The next step is to squeeze the fabric around the knobs to make sure that they are glued there. You can coat the knobs separately after unscrewing them, or you can do it directly on your drawer. Next, trim off any excess fabric and add some more glue if it doesn’t stay put. You might need to repeat this process multiple times. Finally, you now have a more modern drawer that you won’t feel like throwing away when you see it. 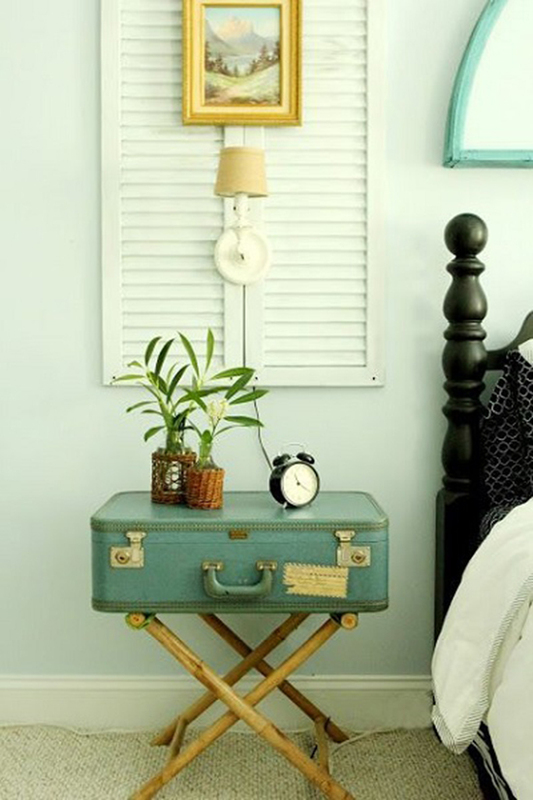 For this incredible do it yourself home project you will need an old-fashioned suitcase, four table legs which you’ll need to paint to match the color of the suitcase, four angled top plates, a drill, and some screws. You’ll also need a particleboard which will act as the base of the suitcase, or your new table. Place it inside and cut its corners at a rounded angle. Now, take four top plates and place them on all corners of the suitcase. Drill them with screws that are long enough to penetrate until they reach the particleboard. Now, take your four table legs and attach them to the top plates by twisting them on. You can also use other kinds of table legs, or even chair legs, like in the picture. Now, you can use your new table for anything but most importantly, for showing what two hands and some inspiration can create out of an old, forgotten object. Old cabinets can always be given a refresh if you have enough inspiration and are willing to work a bit. 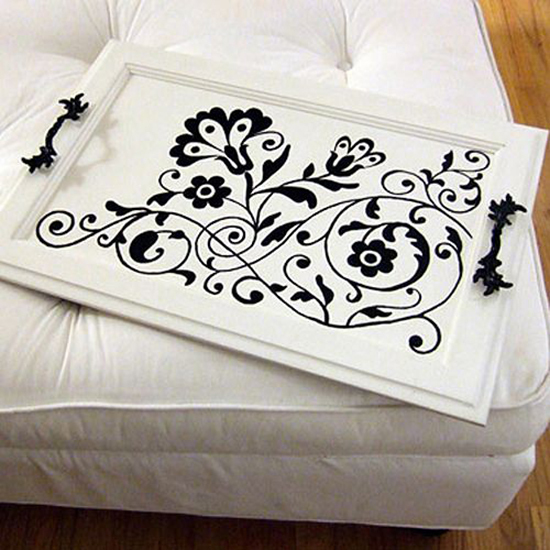 For example, you can make a tray out of an old cabinet door. The only thing that you need to do is to detach it, paint it according to your preference, drill some holes, and add some handles so you can transport it. That’s all you need to do, and you’ll have a vintage-looking tray which you can use for almost anything. There are times when even the smallest changes can bring you great joy. This is how certain people feel about do it yourself projects. If you are one of them, you can always draw inspiration from these ideas and create your own stories. It only takes some time, inspiration, patience and some talent.